Verified Suppliers in China, provides quality made in China products and certified China manufacturers. All China manufacturers in manufacturer-union.com are certificated by manufacturer union. 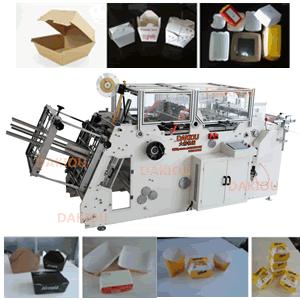 die cutting machine is the professional equipment which uses for cutting various kind of popular paper and PE coated paper, be applicable to printing, packaging, paper cup and other to the die-cutting area. It is convenient and precise. To be controlled by step motor, and it can die-cut the blank paper and printed paper. Clutch is pneumatic clutch, be fast and reliable. Creasing and cutting machine is a special equipment for creasing and cutting ordinary cardboard, corrugated board, plastic and leather in general, applicable in printing, packing, decoration and plastic industries. The main fraime adopts high grade material with high intension of shaping and slice magnetic clutch. So the operating height is reasonable and the press shelf opening angle is big. 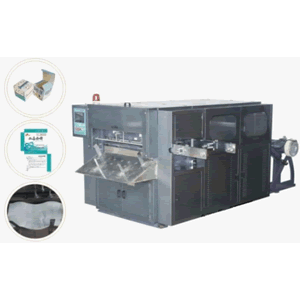 Roll punching machine is high speed punching machine, paper slitting , cutting and clearing of waste together. Which is a good choice matched with flexo printer, a full line of production for paper cups. Leave your message, you will be contacted within 24 hours.